Today was a full day in New Orleans. Afternoon tea, WWII Museum, walking around the French Quarter, the Gumbo Shop and pecan pie. I couldn't pick just one picture, but I judiciously kept it to two. 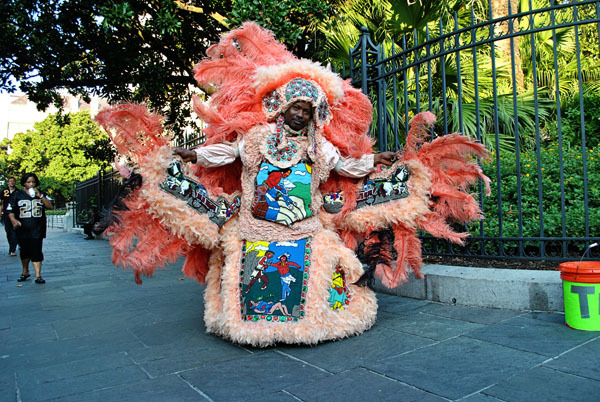 We saw this Mardi-Gras costumed man near Jackson Square. 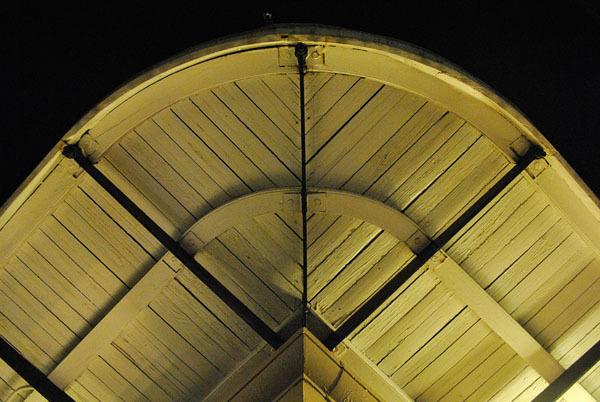 And this was the underside of The Royal Praline Company's porch. Fairly iconic of New Orleans, in my opinion.